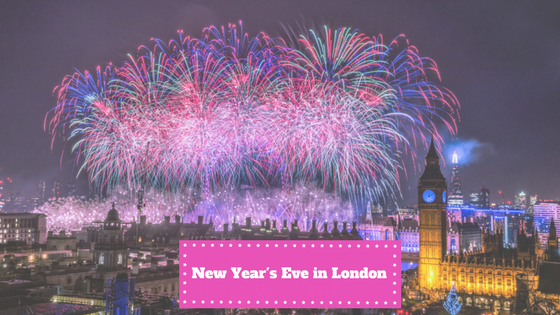 Londoners never miss a chance to party, and New Year’s Eve in London is one of the biggest! The first gathering on New Year’s Eve in London is said to be in 1878, near St Paul’s Cathedral. After that, Londoners quickly picked up the tradition of celebrating the end of the old year and the start of the new one. So for over a century people have been coming to central London on this night — nowadays for a huge party with fireworks, champagne, and a fantastic party atmosphere. As in many places, one very popular tradition is that as the chimes of Big Ben ring for midnight, people join hands and sing ‘Auld Lang Syne’. This was a poem written by the 18th century Scottish poet, Robert Burns. It’s about the reunion of old friends, and the memories of happy times past. Where are the New Year’s Eve fireworks happening? The most famous event in London is the fireworks extravaganza over the river Thames, at Victoria Embankment. This is always a fabulous event, and is so popular that you’ll need a ticket if you want to attend. If you fancy dancing the night away instead, London definitely won’t let you down. Almost every venue will be putting on a special event, so there’s something to suit every budget and taste. Whether you want to sip champagne sedately or get down on the dance floor, this city’s got everything. Dress up glamorously and step back in time for a 1920s-style party, with jazz bands, cocktails and all the trappings of a decadent and crazy era, at the Prohibition Party. The location of this fabulous event is secret, and is revealed to ticket holders 2 weeks in advance of the event. Alternatively, try a 1940s party, when the Village Underground club in Shoreditch is transformed into an air raid shelter for the Blitz Party’s New Year’s Eve special. Classic cocktails, snacks, and a pre-party swing dance class if you want to work on your moves before the night really gets going. If you fancy something a little more 21st century, try the house/techno night at XOYO, at hip Old Street. Or head to Egg London near King’s Cross for an eight-hour techno party.